Like it or not, the automobile is about to change permanently and dramatically. That change will be built upon the transition from driver-operated to driverless cars. If that sounds like a small or trivial technological shift, like adding spell correct to a texting application, guess again. In its ramifications for society, the move to driverless cars is more like the advent of the internet – while it doesn’t change everything, it changes a heck of a lot. It may be easier to think of what driverless cars don’t change than it is to think of all the things they do impact. But just to provide a taste of what is at stake: urban living patterns, the nature of work, energy usage, greenhouse gas emissions, commute times, personal happiness, the structure of poverty, the nature of social interactions, what it means to be a mother and have a career, stress-related health problems, emergency services, and retail operations. Or: time and money. This transition has been discussed for years, if not decades. Which helps to explain why Tesla’s latest Model S Autopilot is such a big deal. We’ve talked to scores of drivers and government officials and almost to a person they are aware of driverless cars. But, again, almost to a person, they have it in their minds that driverless cars are a ‘thing of the future’. Specifically, a ‘thing of the distant-enough future’ that we don’t really need to take too seriously. Like a technological version of global warming. Something that theory says will happen, but in the absence of hard evidence leaves room for doubt, particularly with regard to its timing. 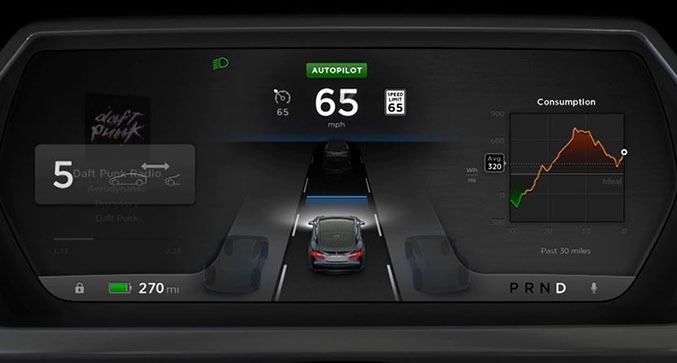 The new Tesla Model S Autopilot shows that this view is wrong. Driverless cars, of a sort, are here. Now. And with Moore’s Law behind future improvements, it isn’t that hard to predict where we’re going to make further progress. And it isn't hard to comprehend that progress will be rapid, since we've seen the Moore's Law movie so many times before (computers, phones, cameras, telecommunications, etc.). In co-announcing the Dual Motor Model S with the Autopilot, Tesla goes out of its way to distract the media from the Autopilot features. We suspect the clumsy naming might be in part to focus attention on the top-of-the-line car’s traction and acceleration (0-60 mph in 3.2 sec for the P85D version), and away from the autonomous capabilities of the car. They also say that the Model S Autopilot is not, nor will it become with software updates, a driverless car. When you have to say that something is not something, you've basically said that you're in a gray zone. All Model S cars being made now have the capability to be do these things. 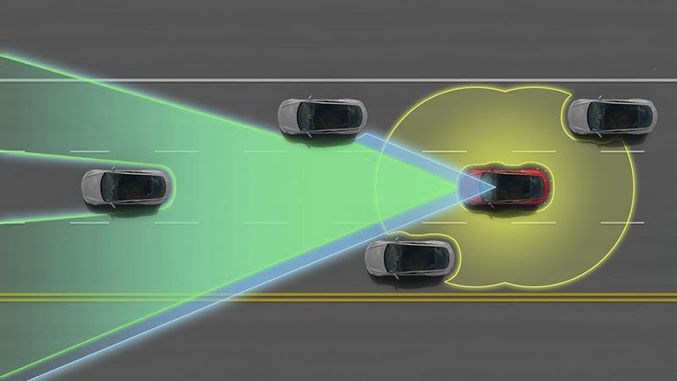 All new Model S cars have forward radar, 12 long range ultrasonic sensors positioned to sense 16 feet around the car in every direction at all speeds, a forward-looking camera, and a high precision, digitally controlled electric assist braking system and electric power steering. Some of the features listed above depend upon software now being written and tested by Tesla and won’t be available for a few months. But Tesla’s WiFi-enabled software updates mean current production cars will do these things very soon. The significance of the Model S Autopilot is not exactly what it can do for its small group of owners. No, the significance of the Model S Autopilot lies in how it affects our thinking about cars and transportation. Or at least it should have this affect, one which extends several orders of magnitude beyond the thousands of buyers of the Model S Autopilot. The Model S Autopilot is like the RIM Blackberry. The Blackberry clearly showed that mobile phones were no longer just phones, they were mobile computers. And only a dullard could miss that mobile computers have vastly more significant impacts than phones. Ultimately, the iPhone was the mobile computer that the Blackberry pointed to. But before the iPhone, the Blackberry was wildly successful and experts could see the portents of the latter device. The Blackberry was the Ur-smartphone, with huge historical significance. 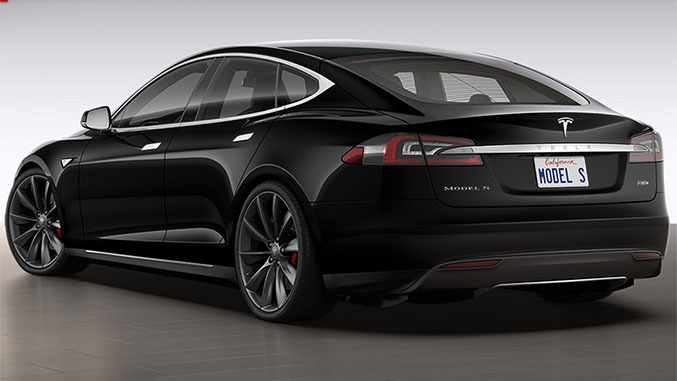 In a similar sense, the Model S Autopilot is the Blackberry of 21st century transportation. It is the Ur-driverless car. For the Model S Autopilot to realize that status though, it has to be recognized for what it is. People need to pay attention, or at least the right people do. We think the people who need to be paying attention are the business people and government planners who are working on projects affected by driverless cars (it is a long list). They could, should and possibly will understand that whether Tesla successfully uses the Model S Autopilot as a springboard to success in the driverless car market or, like RIM, institutionally fails to negotiate a subsequent technological transition, doesn’t matter. What matters is that even skeptics who demand 'proof of existence' now can be awakened to realize that driverless cars are coming very soon. A lot has to happen in terms of communication, investment, technological development, laws, policy and infrastructure to realize the full potential of driverless cars. But once you start putting people in consumer products that can do some driverless things, the intellectual horse has left the barn. It will take dedicated deniers to mis-read the tea leaves because the capability will start to be a social phenonmenon. The likelihood of this working is certainly not diminished by the fact that the Model S Autopilot is a Tesla. Car enthusiasts will also want to pay attention. Ironically, one might be hesitant to pull the trigger on a big luxury sedan today if resale value matters. Sports cars, with their driver-based role, seem a little safer proposition. And amateur motorsports might even be a growth industry. As car enthusiasts ourselves, we have mixed feelings about this. In most ways we don't like it, though there are times when it would be great to be able to send the BMW off autonomously to pick up a child or aging parent. But as journalists, our job is to report on reality, not on some fantasy world. And the reality is that driverless cars are, to a degree, here. And that makes a huge difference.